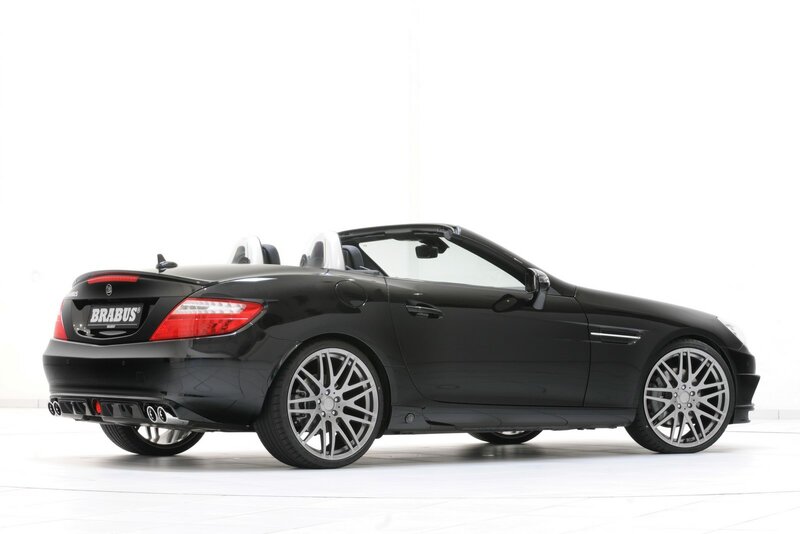 The 2012 Mercedes-Benz SLK gets a serious tuning package from a company which already is famous for their appetite to prepare models from the Stuttgart-based manufacturer. The new German roadster benefits from a bunch of styling improvements along some performance upgrades able to improve a bit the figures. 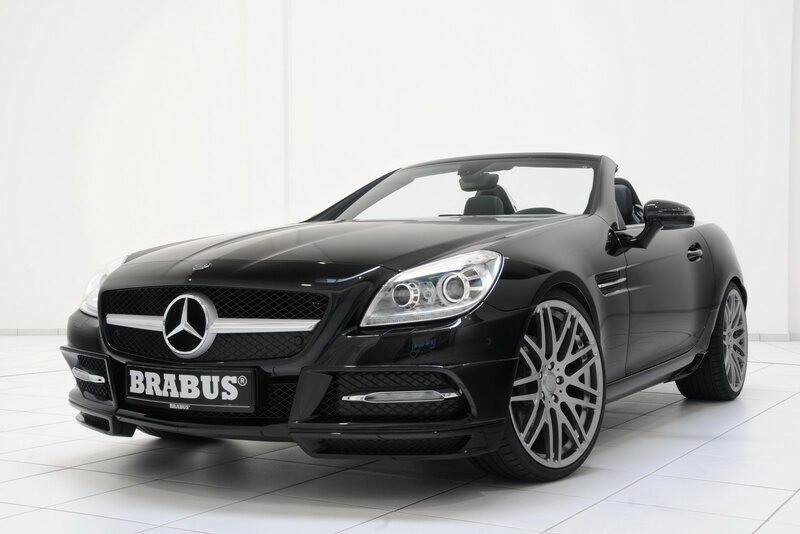 The specialists from Brabus decided to create an aerodynamic kit for the new SLK which include side sills, a rear diffuser, boot lid spoiler and a front bumper. The exterior appearance is also improved by a new set of alloy wheels with dimensions ranging from 17 to 20 inches. Brabus also offers three tire choices, Pirelli, YOKOHAMA and Continental with dimensions of 235/30 ZR 20 (front) and 275/25 ZR 20 (back). At the interior, the German tuners provide new leather upholstery along aluminum pedals and stainless-steel scuff plates. On the other hand, there are few performance stages for the new Mercedes SLK, the first one adding 26 horsepower and 30 Nm of torque to the SLK 200 BlueEFFICIENCY model. 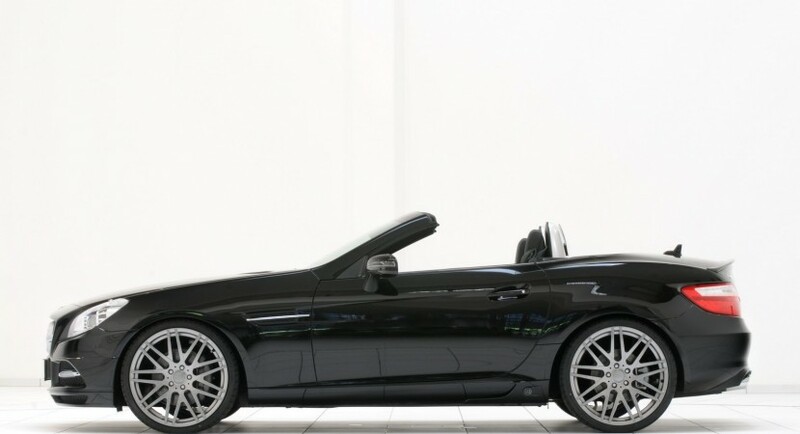 The Mercedes SLK 250 BlueEFFICIENCY is tweaked to develop 230 horsepower over the stock 204, while the second package squeezes 240 horses and 370 Nm of torque. The additional power will make the model able to reach 100 km/h from scratch in 6,2 seconds and a top speed of 248 km/h. Even these figures are not quite impressive, Brabus claims that they are currently working on some more serious performance upgrades. Brabus’ offerings end with a new sport suspension able to lower the ground clearance by up to 30 mm while a new braking system along a quad-pipe stainless-steel exhaust systems are available too. Official pricing is not available yet but getting in touch with the company will bring you all the details you need. “Professional tuning und exclusive refinement for the latest Mercedes-Benz SLK: The customization program from BRABUS comprises performance tuning for gasoline and Diesel engines, sporty yet elegant body components, one-piece or multi-piece alloy wheels with corresponding suspension modifications and exclusive interior updates,” this is how they describe the tuning kit.